A major earthquake in Tehran creates an international crisis, and a commercial flight suffering mechanical failure must make an emergency landing on a restricted airport runway. When one of the passengers, Zac Miller, starts taking photos on his cell phone in the lobby after deplaning, he is immediately detained and accused of being a spy. That’s when the fun truly begins. Miller is in fact a CIA agent, but he has never been trained in any capacity beyond desk work. When a murder occurs with his fingerprints all over the evidence, he realizes he must dig deep and find skills he didn’t know he had in order to escape from a foreign country and clear his name. 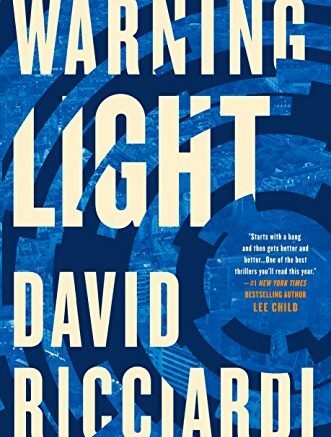 This is Ricciardi’s first novel, and from the well-crafted and intense storyline it’s hard to believe that he has not written dozens of prior thrillers. Definitely seek this one out. 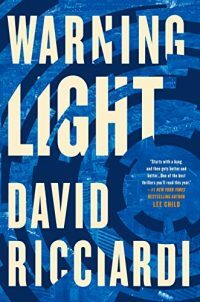 Be the first to comment on "“Warning Light” by David Ricciardi"